This week we discussed Political Competition from Carlin and Love’s research article about how our social preferences facilitate trust and partisanship in democracy. Their research discussed the many ideas that surround trust and distrust in politics, including the idea of intergroup trust. Intergroup trust defined in class is the intention to accept one’s own vulnerability based on positive of another. This definition ties in the aspect that when parties design their certain liberal or democratic views they have to have the willingness to trust other parties, and this willingness is what makes a person vulnerable. When we take into account the idea that it is hard to trust people because we are unable to make ourselves vulnerable allows us to further realize the conditions that democracy has in order to gain the best interested goal of the society. However, how do we make ourselves vulnerable and trust others when we our mindsets are filled with the competitive ideas of stereotypes, biases, and social comparison? Are we even able to take into account our vulnerability for the well-being of others? Is that even possible? Well I personally do not think that we are able to ignore these competitive ideas for a “greater cause,” although we always do try to collaborate which can provide us with reasons to cooperate with others rather than compete. Yet, if we had initiations like cooperation in politics would we even have competition at all? 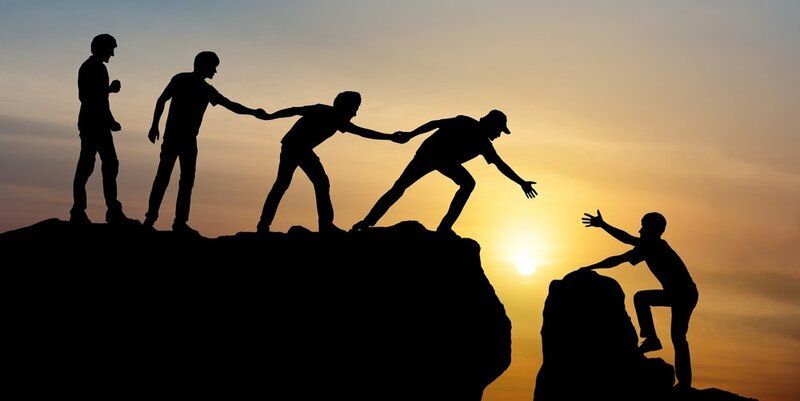 I think we can take cooperation and competition hand-in-hand again similar to Hutcheon and Bateson where without trusting others through cooperation we also cannot trust an opponent to compete. This idea of cooperation and trust is also seen in Aaron Ma’s post about how in sports through competition we have to trust our team members will support us and others trust that we will abide by the rules to play fairly. In all honesty, trust in ambiguous because everything we do in our daily lives involves trust. If we go to restaurant and eat their food we have to trust that they haven’t poisoned the food. Or when we are walking, we have to trust that no one will walk right into us or bump into us. All of these circumstances of trust involve us being vulnerable. Therefore, if we trust democracy and politics we first need to be vulnerable and trust that each opposing party will have our best interests in perspective to achieve a similar universal goal. Is trust just a perspective or is it a lifestyle? If we can understand what helps and harms people’s ability to work together for the benefit of the individuals and society is fundamental to understanding how cooperation improves the wellbeing of others. Everything we do involves trust and so having the willingness to be vulnerable influences our democratic ideas of intergroup trust and the development of a common goal for society. Previous Without trust, are our everyday interactions without purpose?